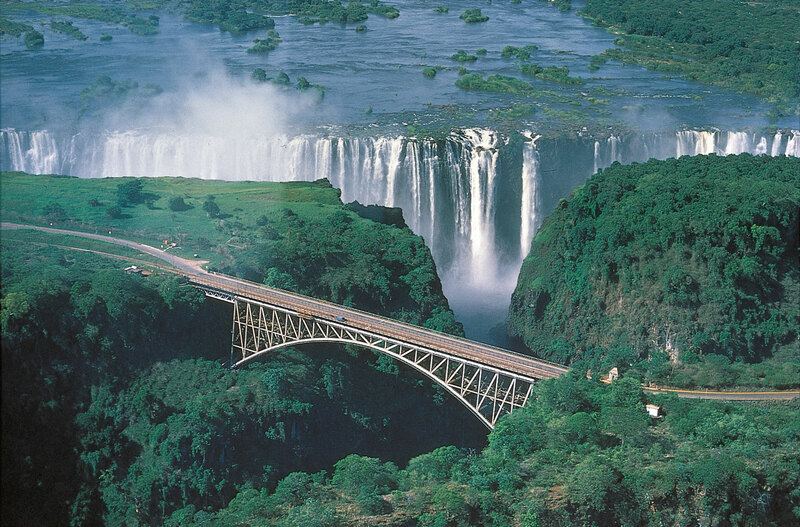 Victoria Falls, the largest waterfalls in the world, are part of the Zambezi river, which forms a border between Zambia and Zimbabwe. 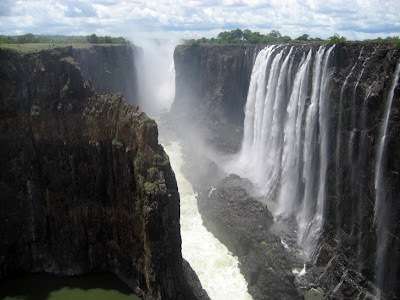 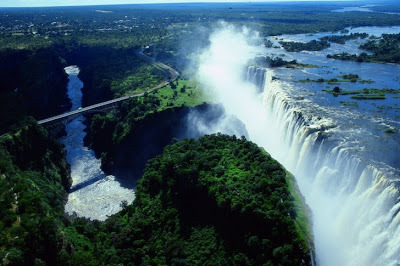 At the falls the Zambezi river cascades an amazing 108 meters (360 feet) over a width of 1,708 meters (5,604 feet). 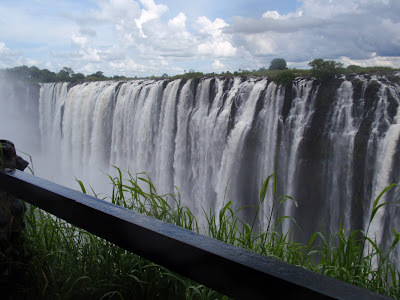 The falls were named after Queen Victoria by the European explorer David Livingstone who is thought to be the first European to view the falls. 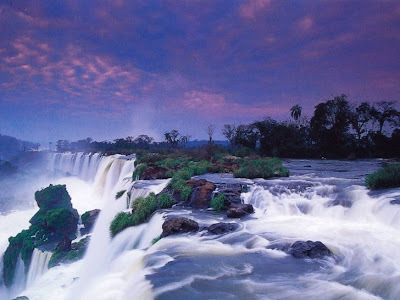 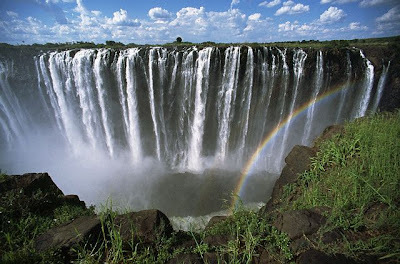 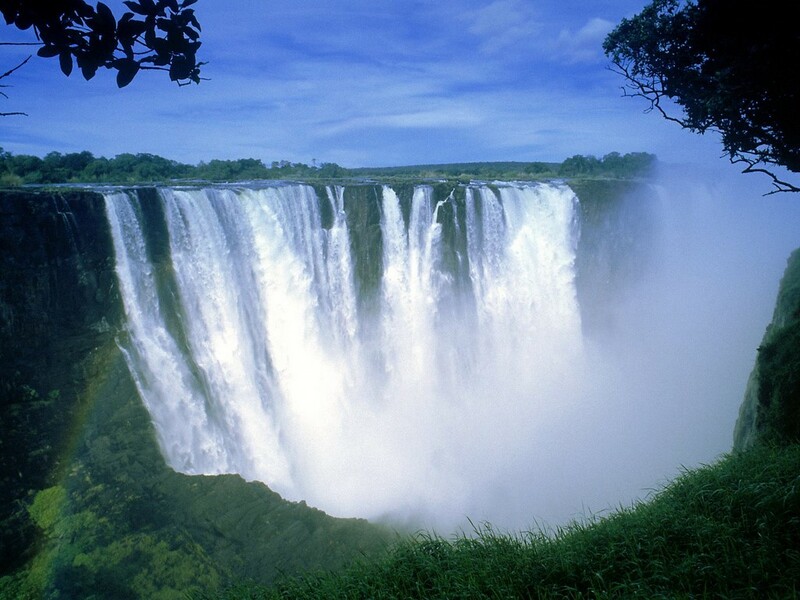 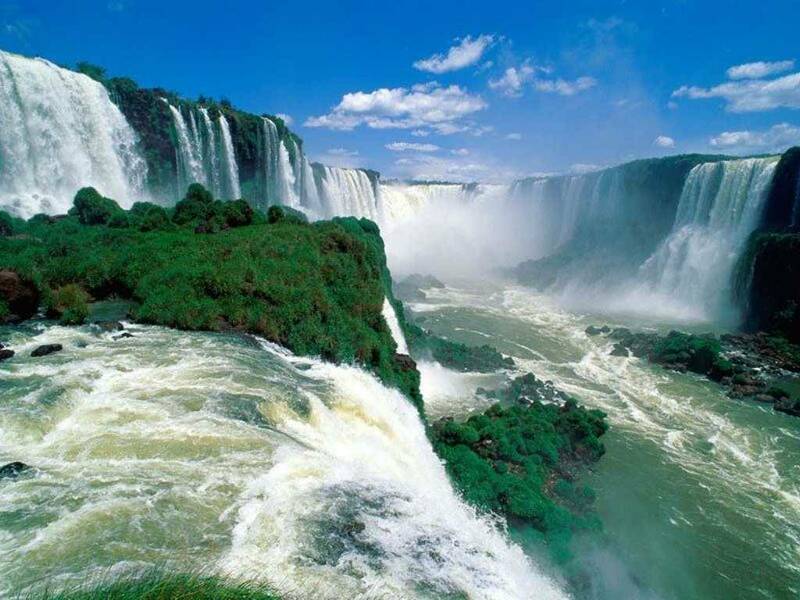 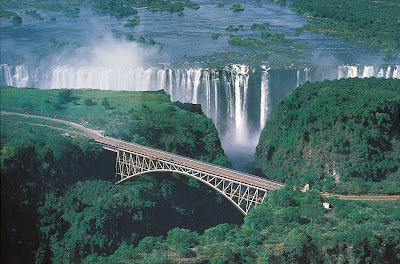 The native name of the falls is Mosi-oa-Tunya which means ‘Smoke that Thunders’. 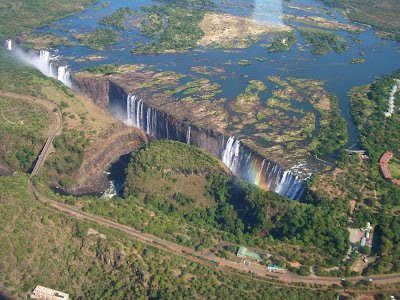 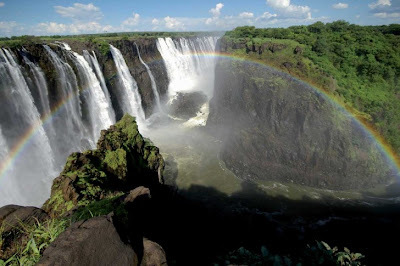 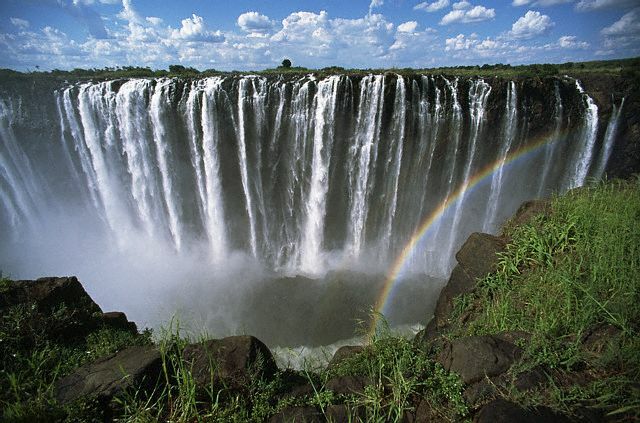 Victoria falls is listed as a UNESCO World Heritage Site and is visited by roughly a million tourists per year. 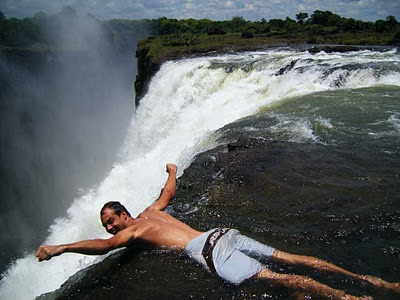 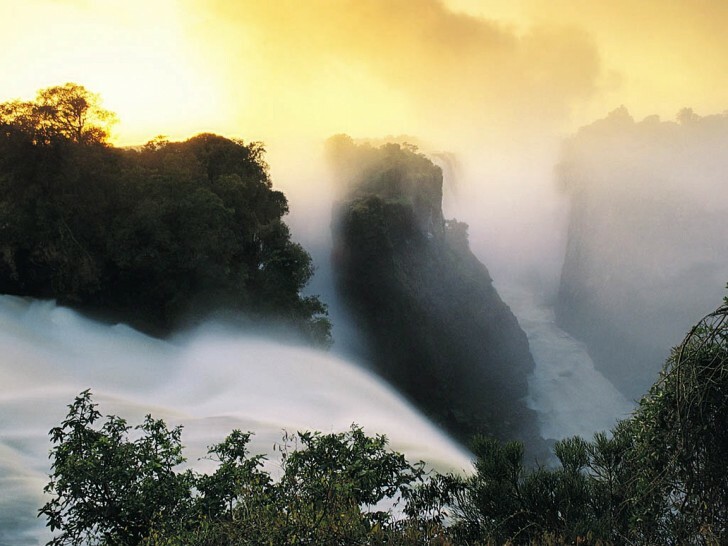 Devil’s Pool is located on the Zambian side of the falls and is accessed from Livingstone Island, while most of the viewing areas of the falls are located on the Zimbabwean side.